A Tunisian tattoo artist has wound up breaking two taboos in his own country, and got the crap beat out of him over the weekend for his efforts. Apparently, some Muslims believe that tattoos are forbidden by Islam. At least in Tunisia, Fawez Zahmoul's customers have usually had their designs applied in inconspicuous places on their bodies where they can be easily hidden in public. But even though he's been inking eager countrymen and women since 2010, it was the design of his business' logo (right) that brought out new rage from the locals. 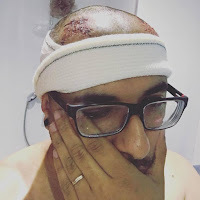 Fawez Zahmoul, owner of an establishment marketed as “Tunisia’s first tattoo parlor” was attacked and beaten over the weekend by a group of unidentified individuals, the apparent motive being the belief that tattoos are forbidden by Islam. 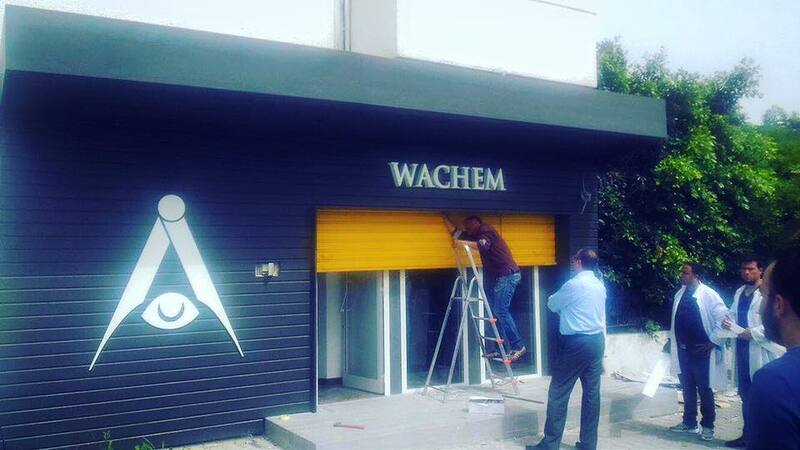 Zahmoul reports having been the target of attempts at intimidation for weeks as he planned the grand opening of Wachem Tattoo in Marsa. “My fault for not taking the threats seriously,” he said in a Facebook post on Sunday tagged as “at Clinique Pasteur” in which he also shared a picture of himself wearing bandages with bruises and abrasions showing on the top of his head. The opening of the shop was scheduled for late April but was delayed several times due to resistance from the community, according to Zahmoul. He reports that religious figures have spoken out against him during Friday prayers and that there have been pressure campaigns against him and his shop on Facebook. “With all of this I don’t have a clear idea on when I’ll open the shop,” Zahmoul told Tunisia Live prior being attacked. The attack reportedly took place on Friday afternoon, according to a Facebook page called “Tous contre ‘Fawez le tatouer’” (“All Opposed to Fawez the Tattoo Artist”). On Saturday the page posted a blurry picture of what appears to be a physical dispute along with the comment, “Friday, May 20, at 2 p.m., Fawez the tattoo artist was badly beaten. Tunisia is no longer a Muslim country[.] There is no place for people like him.” Zahmoul could not be reached for details following the attack. In addition to the fact that tattoos are taboo for certain segments of Tunisian society, Zahmoul’s shop appears to have drawn criticism for its logo, which depicts an eye beneath a folding tattoo tool [sic] making the shape of a triangle. 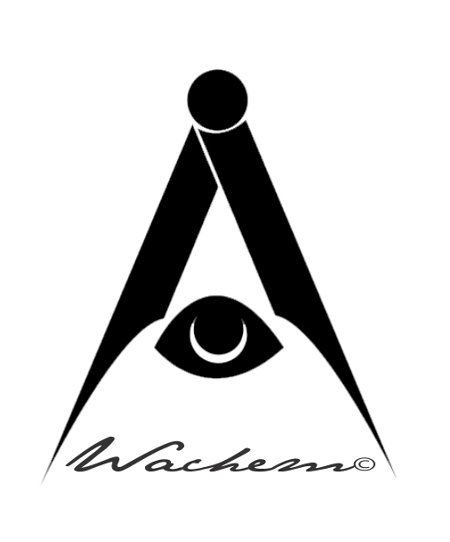 A number of Facebook resistance groups have pointed out the similarities between the logo and one of the symbols of Freemasonry, a secretive organization that some believe is anti-Islam. Several of these Facebook pages have pointed to the first article of the Tunisian constitution, which stipulates that the country’s religion is Islam, and said that the Zahmoul’s use of freemason imagery is a violation of this. Commenters responding to such posts have condemned Zahmoul, sometimes violently. A commenter named Makram Mahmoud said, “It has to be burned or closed,” referring to the shop. Sociologist Foued Ghorbali told Tunisia Live that the controversy around tattoos is an example of broader tensions in Tunisian society and the ways in which values are changing, adding that not all Tunisian’s who identify as Muslim are against tattoos. “There are people who are getting tattoos, but at the same time still think about [the need to keep one’s] virginity [prior to marriage,]” he said. Ghorbali added that tattoos in Tunisia were once an indication of a person’s tribal or regional origins as well as a part of religious practice, but are now almost exclusively aesthetic. 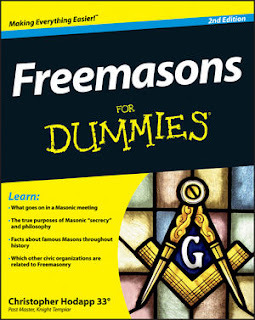 According to Brother Kent Henderson, Freemasonry came to Tunisia as it did with so many other African and Middle Eastern countries with the European colonial expansion of the 19th century. In 1879, the Grand Orient of Italy assembled eight French-speaking lodges in the country and formed the Grand Orient of Tunisia. By the time of WWI, lodges also proliferated from the Grand Orient de France, the Grande Loge de France, as well as French co-Masonic obediences. In a 2007 paper, Henderson mentioned a lodge that opened in 1998, Loggia Italia No. 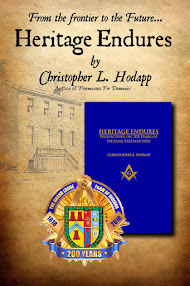 16, meeting quarterly at a Tunis hotel, but little is known about it, and the lodge may in fact no longer exist.